Amazon Connect is a self-service, cloud-based contact center service that makes it easy for any business to deliver better customer service at lower cost. 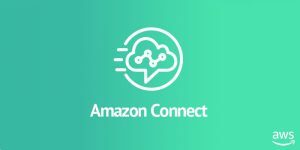 Amazon Connect is based on the same contact center technology used by Amazon customer service associates around the world to power millions of customer conversations. With seven new integrations launched on AWS Solution Space, you can optimize your customer experience and contact center efficiency with pre-integrated solutions and pre-defined consulting services from AWS Partner Network (APN) Partners with validated capabilities in this area. Solution Space allows APN Partners to showcase customer-ready solutions that are quick, cost effective, and repeatable. Each solution is based on architectures validated by AWS and are meant to create new business opportunities for customers, leading to production workloads on AWS. The contact center solutions we just launched include integrations in sales and service, workforce optimization, speech analysis, fraud detection, and messaging. In addition, customers can find consulting offers from validated Amazon Connect partners. APN Partners are encouraged to nominate their solutions for AWS Solution Space. If you have questions about Solution Space or want to discuss whether your solution is a good fit, please contact your Partner Development Manager. To learn more and see each customer-ready solution, visit the AWS Solution Space website.